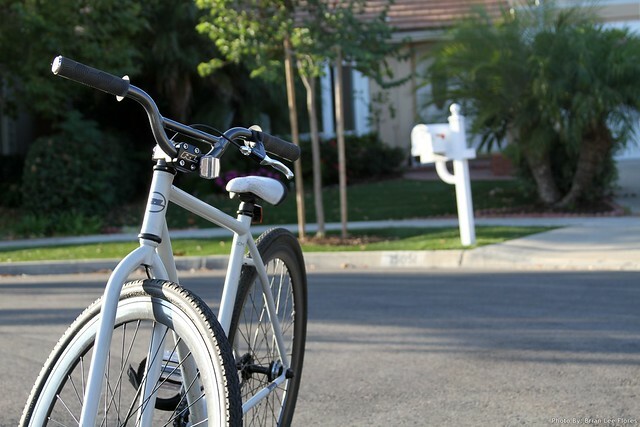 Before we start with this review, BikeCommuters.com realizes this may not be a traditional “commuter bike,” but it may be of interest for folks who have no need for racks and fenders and want to throw in some fun while riding their bikes to and from, school, work, coffee shop and etc. One of the things I wanted to accomplish with it was to bridge a generation gap between teens, 20’s, 30’s and 40 year old riders. We chose to do this with the Redline Urbis. At first glance, some may think this bike could be labeled as a “hipster” or a “fixed gear” bike that couldn’t be used for bike commuting. The goal with this review was to see if a single bicycle model from a large manufacturer could reach out to 4 age groups. With that in mind I recruited additional riders to help me with the review. The first is my nephew Ethan A. of Southern California. 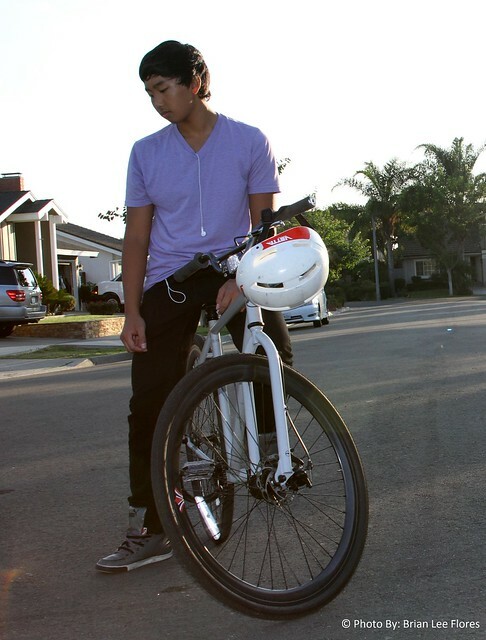 He’s a 15 year old high school student and has been riding fixed gear bikes for over a year. I figured he’d be perfect person to review this bike from a teen’s perspective. By the way, Ethan is a bike commuter who rides his bike to and from school every day. Most fixed and or singlespeed bikes that I’ve ridden come with the standard [rim] brakes. 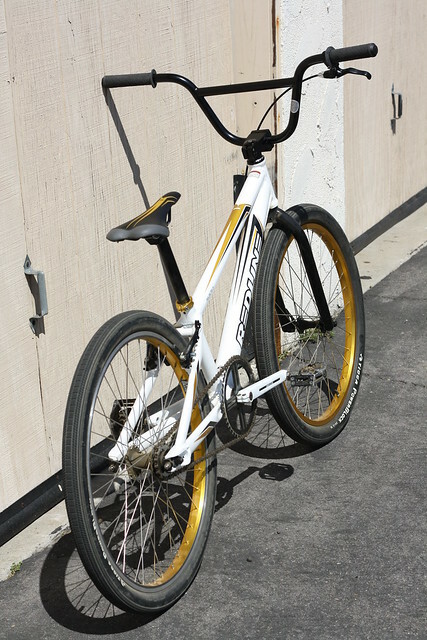 However, the Urbis does not; one reason this bike is unique is because it comes with a front disc brake that allows a rider to do tricks such as bar spins and stoppies. Not only does the disc brake make this bike unique, it comes with deep V rims which fit 35mm tires; this design makes the wheelset more durable than standard wheels. The solid chromoly frame and fork with these tires makes the bike almost impenetrable. The things I loved most about this bike are its standard fat tires. Obviously there are fixed gears with fatter, but most of those bikes are customized. Unlike customized bikes this one comes with some pretty fat tires. I also enjoyed the BMX cranks and low gear ratio; it made the bike run smooth and easier to perform tricks on. This bike is probably one of my favorites to ride. However, there are a few things I didn’t like about it. Probably one of the more exciting components of the bike disappointed me the most. The disc brake in the front was neat, but because of the geometry of the bike you can’t get full clearance when doing bar spins. fixed gear newcomer that is serious about tricking. I’ve never been one for fixie bikes. They always just struck me as the next weird trend; one which I never cared to wrap my head around. Here is a brief walk-through of my mindset. RL wants me to ride a fixie objectively? I’ll do what I can to help…but I’m not going to like it. OK so I don’t like fixed bikes but that one’s pretty cool looking. It’s some awesomely burly combination of a road bike and a BMX bike, and it looks like it could handle a North Shore drop. Dang, this thing feels as solid as it looks. I bet it’s obnoxious to ride though. I’ll probably run into a parked car or something. Haha, I’m doing a track stand like all those tightly-pantalooned, bearded fellows do at stoplights. Oooh, these things wheelie quite nicelyyahhgeezhowdoyastop!?! I’m just gonna use the hand brakes until I get used to this thing. So this thing sure is fun to ride. I wonder how much I can use it before one of my friends see me on it. Well, I can’t really hold out any longer because this thing was pretty fun for short stints at a time. I think the first thing that really drew me to the bike was how awesome it looks. The deep rims, the crossbar handlebars, the BMX stem, all these things made this bike look like it could rival the skills of a cockroach when it comes to surviving a nuclear bomb. The front brake line is routed right through the stem for some limitless barspin action, and guess what’s connected to the end of that brake line? Yup, it’s a rotor. Maybe in the hipster world you lose a few cool points for having that, but I don’t know because I never read the rulebook. In my opinion, the disc brake is a much needed supplement to the back-pedal braking and it accents the aesthetics of the bike really well…not to mention, it makes for some good stoppies. This bike was undoubtedly built to throw-down on some rough freestyle sessions. I had a lot of fun riding the Urbis and I can’t wait to get my hands on another one soon to work on some new fixie skills. The next person to review was yours truly. My name is RL Policar, of Southern California. I am 34 years old and I too am part of the MtnBikeRiders.com DH Race team, by the way, I’m am a Bike Commuter. Much like Corey, when I first laid eyes on the Urbis, I was genuinely impressed on how well this bike was put together. 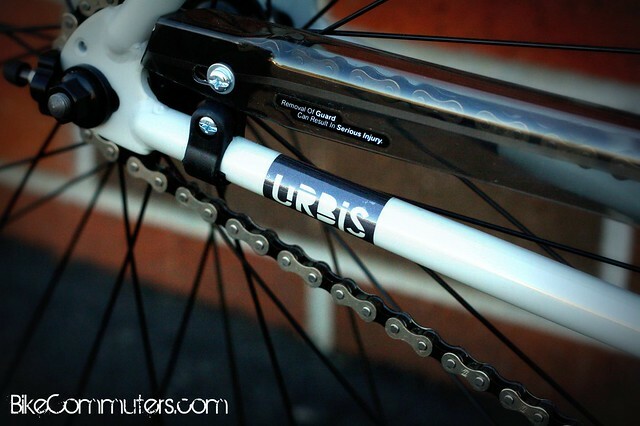 From the wheels to the BMX parts and even down to the tires, the Urbis looked rugged. To my surprise, the bike rode exceptionally well. It has to be one of the smoothest fixed gear bikes I’ve ever ridden. The gearing on it is great for snapping out of a dead stop and getting across a busy intersection. However, I found my self spinning out and couldn’t maintain a speed faster than 20 mph. Then again, on my commute, I rarely get over 15mph on the streets. But I’m guessing that a smaller cog in the back would have fixed this issue. The geometry of the Urbis was very comfortable. 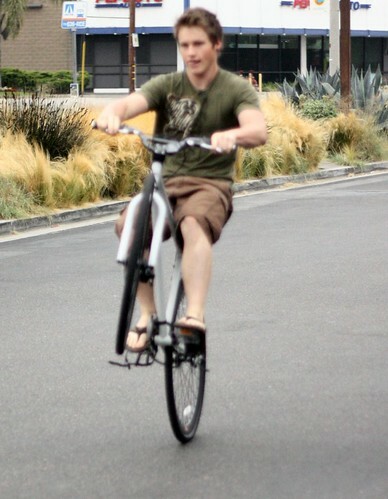 It wasn’t too aggressive nor too much like a comfort bike. I found that it was just right for my work commute or even short trips around town. Stopping power was pretty powerful considering you’re on a 4″ rotor using mechanical Tektro disc brakes. Though I’m not that great at it, I was able to easily execute stoppies (apply front brake, lift up rear wheel). I wish I had a photo of this, but one of the things I did to test out the durability of the Urbis was to take it down some stairs at a local park that had an amphitheater. On a regular single- or multi-speed bike this task wouldn’t be too hard. But on a fixed gear, it was down right scary! I couldn’t level out my legs so it could absorb the bumps, instead I had to pedal as I hit each step. A total of 30 steps I rode and once I hit the bottom, I checked the wheels if they were still true…sure enough, they were. For bike commuting, one of my favorite bikes to ride is my Redline 925; I simply love that bike. But when I was testing the Urbis, the 925 never left my garage. Not only was I having a blast riding the Urbis, but I tried to find any excuse to go out with it….”What hunny? You need some eggs from the grocery store?” Before she could even respond, I was already on the Urbis riding towards the market. It really is a fun bike to ride. My only gripe would be the saddle. From what I can tell, the Redline Pivotal saddle that comes with the Urbis is something that you’d traditionally see on their BMX bikes, thus less comfort since BMX riders seldom “sit” on their saddle. Other than that, its a FUN bike that I’ve used to commute with. Our last review is Art Aguilar, of Costa Mesa, Ca. Art is in his 40’s, an Expert DH Racer for MtnBikeRiders.com. He too is a bike commuter. We wanted to get his perspective on the Urbis since he was the older of the product testers. We weren’t sure if this genre of a bike would fit well with a more mature rider. Ok, I like all things bikes and fixies as they call them; they are kind of cool if they are on a oval track doing pursuit. I am NOT wearing tight jeans and a super tight shirt to look the part for this test — no way, no how. I have spoken!!! This is what RL wanted for the test: one from a teen guy, one from a guy in his twenties, another in his thirties and one from the “OLD GUY” — gee, thanks buddy. Why an old guy? Does anyone my age ride these things, oh and by the way RL thanks for giving me the age of 42, it made me feel good ( I’m 46). As I said the bike is cool looking and it has a front disc, cool paint job, and I like the parts that are spec’d with it. The ride was very smooth and it accelerates out of track stands. I really liked the way it sprinted, and when I got it up to speed it cruised well, climbing was pretty decent thanks to the gearing. Stopping was adequate, the front disc had to break in a little and it doesn’t have that great full stopping power of a hydraulic brake, but it works and for around town I say they’re great. The riding position is an upright one and this is good for commuting especially with the mini BMX bars for those riding attacks between cars. What I didn’t like about this bike (Well it’s not the bike, it’s me): I don’t ride fixies! I almost killed myself coming to a couple of stops forgetting there was no freewheel and nearly threw myself off the bike. SCARY. 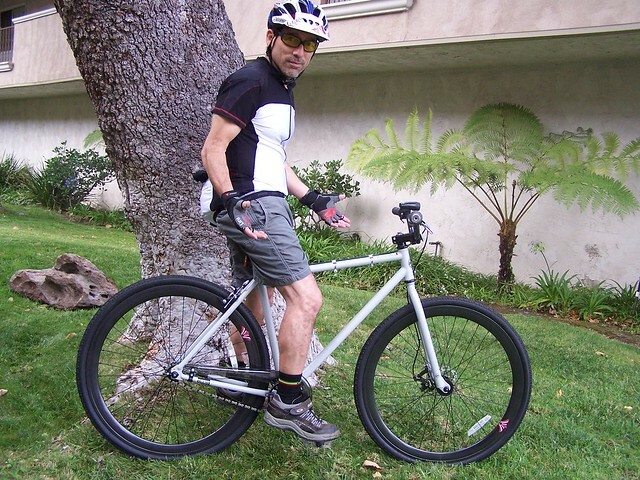 The thing I had to do was install a freewheel cog, seeing that the Urbis comes with a flip flop hub ( $12 buck investment); I then went on another ride on the same route and felt way better on the ride. There are only two things I would change on the Redline Urbis: one I did (freewheel) and the other is a more comfortable seat for commuting and general riding. All in all do I like this bike? Well, yes I do. Would I buy one? Well, maybe. It’s still the last type of bike I would put in my quiver, but I do have a better liking for bikes of this genre now and I do like the Redline Urbis. Well, there you have it — a unique take on a unique bike. We figured having four age groups of bike commuters who have different riding styles could ultimately enjoy the same genre of bike. I think there’s a possibility. Don’t get us wrong, fixies or singlespeed bikes for that matter aren’t for everyone. 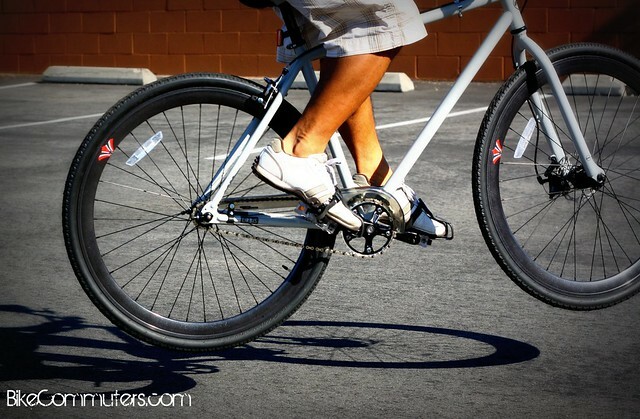 Bikes without fenders cause such a stir with some of our readers, let alone a fixed gear bike. To make this simpler, we’ve broken it down to bullet points on the highs and lows of the bike. Why would you get the Redline Urbis? Price-within “affordable range” of $549. Why you wouldn’t get the Redline Urbis? As you read from all riders, they all took in something different. Some observations were almost identical such as the great gearing for coming out of a stopped intersection. The saddle was a universal complaint, but the wheelset was one of the biggest plus factors for the bike. Between the four riders testing the Urbis, not a single mechanical issue arose during the testing period. The wheels are still true, none of the bolts came undone, bearings are still spinning nice and smooth, no drive train issues. 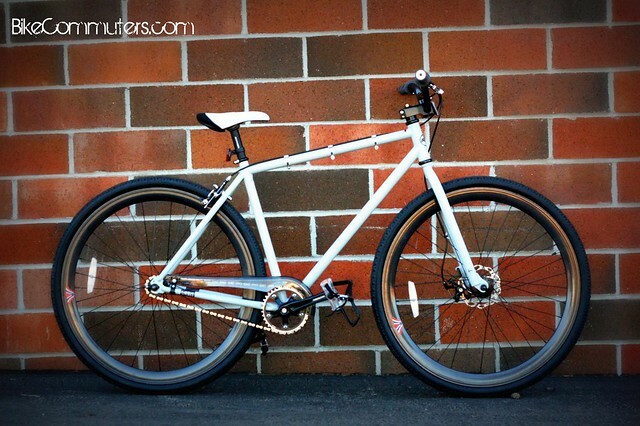 The Urbis is pretty bombproof for a “commutable bike” and don’t forget, it’s super fun. We understand that there’s not a single bike type made for every rider out there. Don’t get us wrong, we’re not saying that a fixed gear bike is the right one for a 50 year old woman nor is a cargo bike the best choice for a teenager. It all comes down to personal preferences. Go with what you like, but keep your mind open to other genres of bikes, you never know, you may end up liking something totally different from what you’re used to. 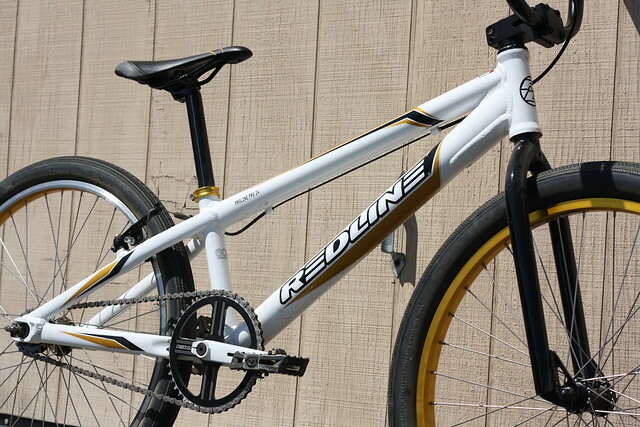 Meet my other commutable-bicycle, its my Redline Proline 24 BMX Cruiser. I typically use this bike at the local BMX track and I love it! But it got me thinking, why limit the use of this awesome bicycle to the BMX track? Why not use it for in-town commuting and bike-errands? The Proline 24 is pretty light, around 25lbs, its quick, nimble and very FUN to ride. One of the great things about riding the BMX bike as my in-town commuter is that it makes me feel young as I pedal it around. It totally reminds me of my youth and I consider that a plus because I can escape the stresses of the world and for a brief period, I can forget that I am an adult, business owner, father and husband. 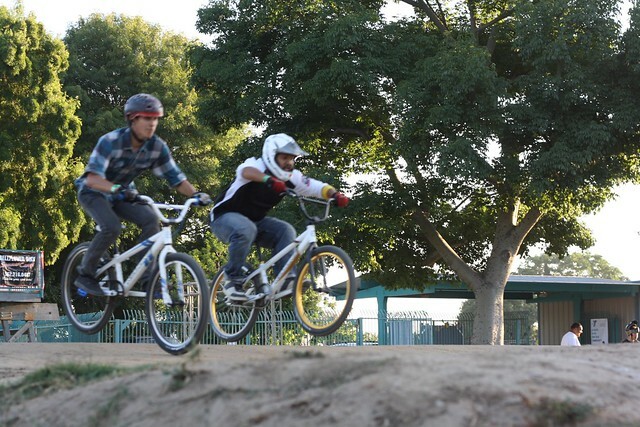 When I’m on the BMX, I’m just a kid riding a bike and that puts a smile on my face. Anyone else here use an unlikely commutable-bicycle? We received the new Redline Urbis about a month ago and since then we’ve been putting it through its paces. 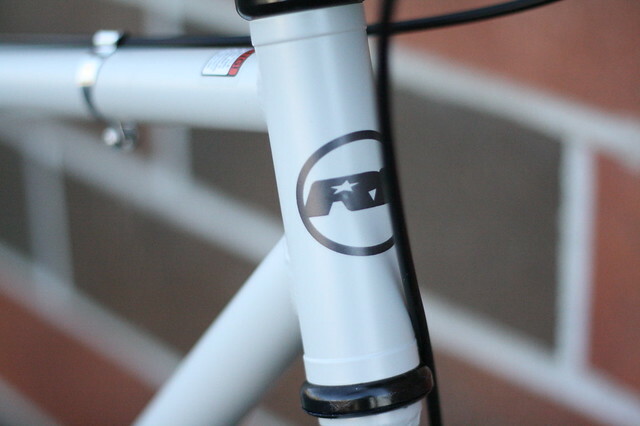 Redline Bicycles has the Urbis listed under their commuter bike section. 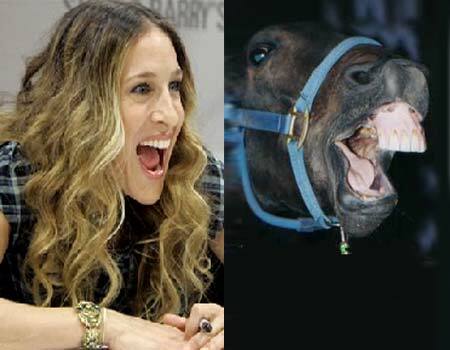 Since I don’t want to beat a dead Sarah Jessica Parker, we’ll just say that the Urbis is a fixed gear BICYCLE that has a flip-flop hub that one can use to commute with. Rather than having one person testing this bicycle, I’ve solicited the help of 4 men in 4 different age groups to test out the bike and to get their opinions. 15 year old High school student/ hipster from Irvine. Ca. All four of us have been given two weeks to ride the bike as much as we can. In the end, we’ll be posting our collective reviews for everyone to see. Load capacity of racks: 20 lbs front, 40 pounds rear. Extra, Extra: Maintenance-free internal Shimano 3-speed hub with twist-shifter, Heavy-duty front and rear cargo rack, heavy duty steel frame and fork — 1 size fits most, Front roller brakes improve stopping power, Sturdy DM 350 alloy rims with rust resistant SS spokes, Front and rear Fenders, Full-wrap chainguard, Cush springer saddle, Dutch “Tring�? bell. Dual kick stand — makes loading up your bike super easy. Well, I’m glad to tell you through months of testing/riding, the racks have NEVER posed any type of problems. I was worried that the nuts and bolts provided would either bend or snap in half. But after loading it up many times with items from my own kids, to boxes of crap that needed to be thrown out, as well as adults, the rack system held up really well. Personally I’m not a big fan of loading up a bike on the front since it makes it squirrelly when riding. I wouldn’t recommend this, but both passengers, front and rear each weigh 100lbs. I weigh about 210lbs….That’s one strong bike! Since this is a cargo bike, speed wasn’t really in mind when the bike was conceived. In fact, the Shimano Nexus 3 speed is geared just right for the times when your bike is fully loaded and needs that low gearing in order for you to get moving. I spent most of my riding time in gear 2 since this seemed to be the perfect gear to be in. 3 was best used for flats or on descents since this gear is taller and that meant if you wanted to mash on the pedals to beat the light, this was the gear to be in. How does the Cargo T climb? Better than I expected. This all-steel cargo bike isn’t an anorexic super model, no, this would be equivalent to Bluto from the cartoon Popeye, super strong and heavy. The bike weighs about 45lbs dry. So that means climbing on this thing was a bit of a chore. Not saying you couldn’t do it, but it’s just harder since this bike weighs almost twice as much as some road bikes out there. One of the best things about the Torker Cargo T is the geometry of the bike. Notice that I’m in an upright, no strain on the back riding position. I never felt any back aches, neck pain or any type of discomfort while riding this bike. Braking power on any cargo bike should be strong, especially if you’re trying to stop a bike with a full load of stuff. One topic that often came up during the introduction of the Cargo T on BikeCommuters was the front Roller Brake. Some of our readers as well as our own Jack Sweeney, have experienced “anemic” braking power with the front roller system. Now I’m not sure if something was different with the Shimano BR-IM41-F roller brake that was installed on the Cargo T, but those brakes worked just great. 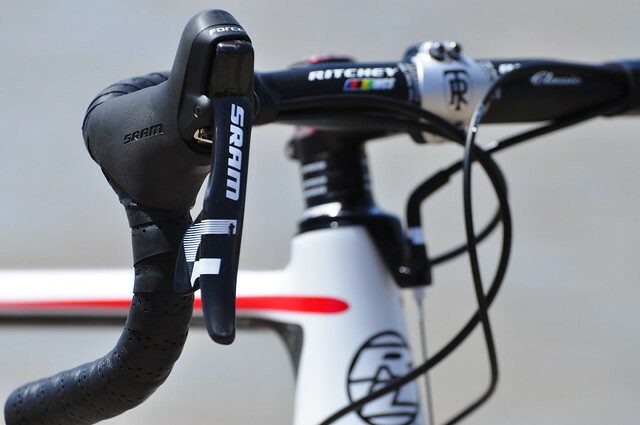 Yes its true that it won’t act like disc brakes or even rim brakes, but they do work well enough to slow you down. 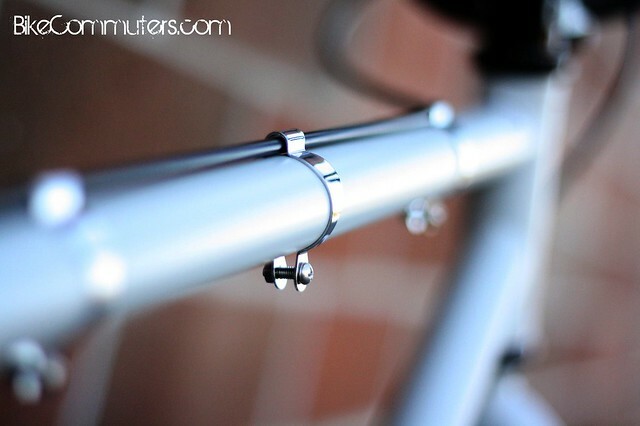 If combined with the coaster brake, the rollers increase the bike’s ability to stop. One question that needs to be addressed would be the bike’s reliability. To tell you the truth, that would be the most boring part of this review. Nothing happened…The Torker Cargo T was SUPER reliable. No additional tuning, truing or adjusting was needed for the bike. In fact I didn’t even get a flat, and I rode this bike through various terrain, from paved road, dirt, and gravel. The Cargo T has been a very fun and practical bike to have in my stable. I hate to admit it, but its taken the place of my Xtracycle. For me, I find it more convenient to grab the Cargo T, than having to lug around the long bike. Sure the Xtra has more loading capacity, but it’s also…long. I also have to mention that this bike is very affordable. MSRP is around $500 and that’s pretty affordable (according to a previous survey that we took). Not only does the bike ride smooth, it’s a head turner and practical. I know I’ve said practical a few times already, well that’s because I can’t get over the fact that this bike is soooo useful. If you get a chance, go to your LBS and see if they have this bike available to test ride. You’ll notice that when you ride it, you’ll automatically smile. I can’t tell you how many people have ridden the Cargo T and right away say how smooth and pleasurable the biking experience is with this machine. Just check out Richard “Fritz” Masoner, see that smile…its because he liked it! So here’s the thing, the Torker Cargo T is a great bike. It has many uses, is super comfy and a joy to ride. Will you be able to carry massive amounts of load on it? Can you carry your groceries to and from the store? Can you commute with it? Can you use it for your work/business? The answer to all those questions is, YES! This bike should win some sort of award for stimulating the economy — not only is it affordable, but you’ll save money too by riding this bike for work or when you do errands.